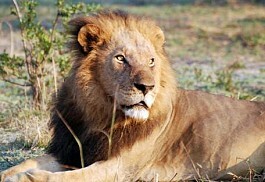 Kafue National Park is the oldest and largest National Park in Zambia and the second largest National Park in the world. 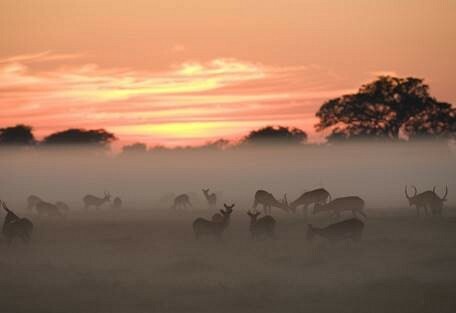 Kafue covers an area of approximately 22 400 sq km of unspoiled wilderness teeming with wildlife. This park is renowned for offering fantastic wildlife viewing, while there over 400 species of bird to keep the birders enthralled. Despite the Park's proximity to both Lusaka and the Copper belt, it has remained underdeveloped. The Kafue National Park is still untouched, wild and diverse and offers visitors one of the best safari experiences in Zambia. 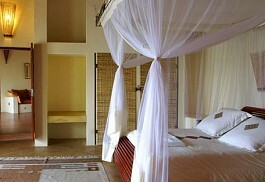 Guests can enjoy a variety of activities accompanied by expert guides including game drives, bird watching and fishing. The Kafue River that runs through the park is what gives it its name, and ensures that guests enjoy a well-rounded land and water-based experience. 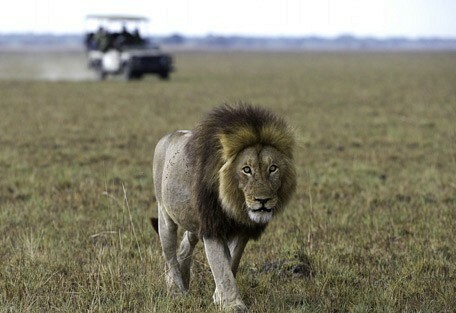 Kafue is Zambia's oldest and largest national park, and is roughly the size of Wales. 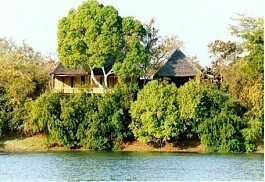 It hosts a vast range of wildlife and birdlife, making for unbeatable game sightings without the crowds. 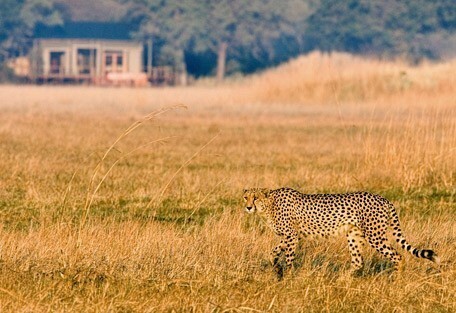 Cheetahs have become known in the Busanga Plains area of Kafue, where they make kills after a chase at a speed of 110 km per hour. 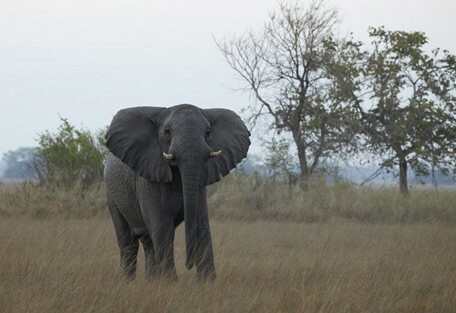 Despite Kafue's prominent location and size, it remains vastly undiscovered. This pristine tract of African wilderness is a sanctuary to a variety of rare species and the southern section remains untouched by man. There is such a variety of activities offered in this diverse park, ensuring that visitors have the opportunity to explore it from all angles. 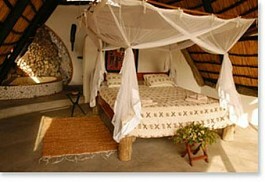 Embark on guided walks, fishing, motorboat safaris, helicopter rides, hot-air ballooning and night-time safaris. 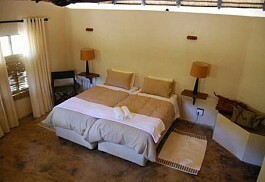 Fig Tree Bush Camp occupies a unique location overlooking a sandy lagoon on one side and vast grasslands on the other in central-northern Kafue National Park. 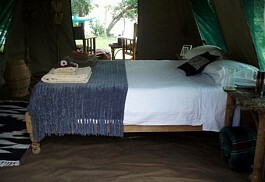 Sister to Busanga Plains Camp, Fig Tree is equally intimate and original. Hippo Lodge offers a traditional bush experience with no electricity in a remote corner of the Kafue National Park in Zambia. The area promises an exclusive wildlife experience offering superb game viewing and spectacular views over the Kafue River. Mayukuyuku Camp offers classic tented accommodation in a remote area in the Kafue National Park in Zambia; one of the finest wildlife parks in Africa. The Kafue National Park offers fantastic bird watching with over 400 species of birds in the park. 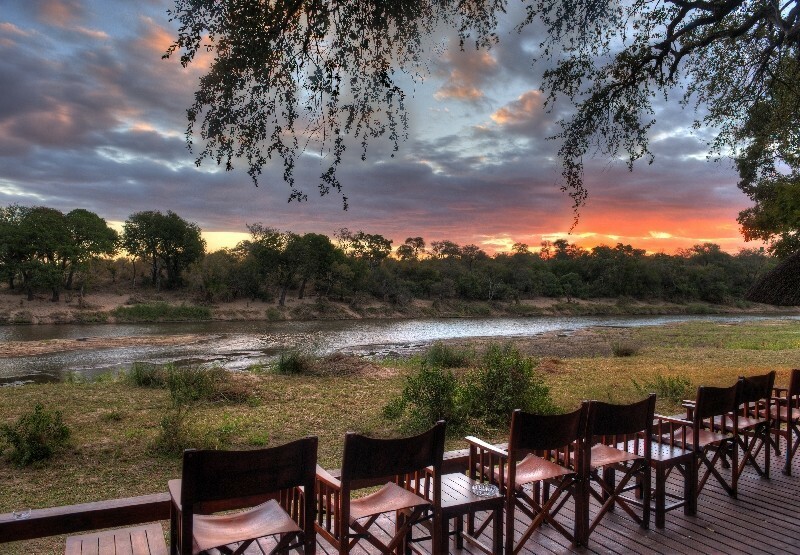 McBrides Camp has been rated by many guests and photographers as one of the best African wilderness experiences on the planet. 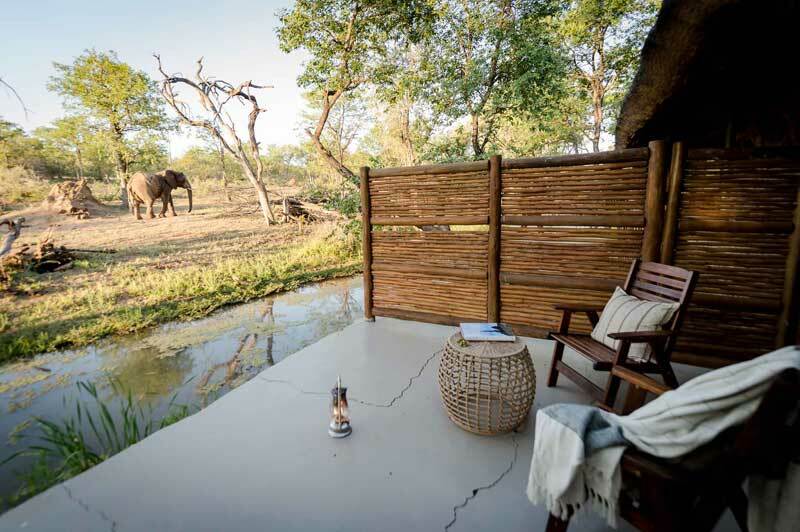 This remote, wild and untouched corner of the Kafue National Park in Zambia promises to offer a unique and personal safari experience. Kafue National Park in Zambia hosts an incredible variety of bird species, numbering over 400, including many species that do not occur elsewhere in Southern Africa. 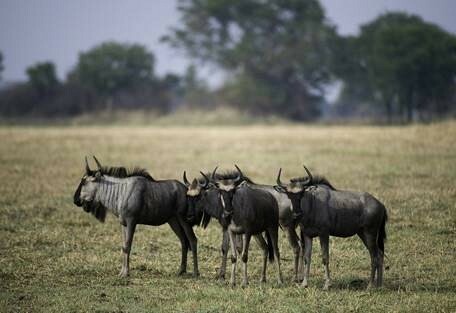 The Kafue National Park and the Busanga Plains in particular is characterised by diverse habitats with floodplains, miombo woodland and open grassy areas creating a paradise for wildlife and birdlife. 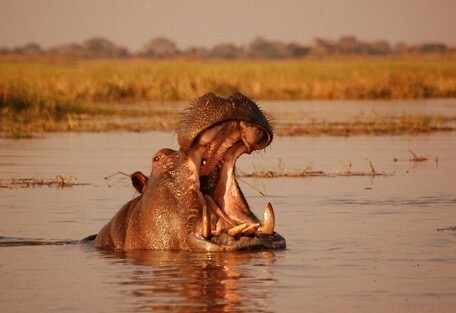 Kafue's crowned glory is the Busanga Swamp and Zambezi floodplains. These support large herds of herbivores and predators that follow. This is a great place to view game in the dry season, as the animals gather at the swamps and marshes, which are sources of permanent water. Mammals in the Kafue National Park are equally diverse, with frequent sightings of lion, leopard, elephant, buffalo, cheetah, hippo as well as an abundance of plains game including zebra and wildebeest. 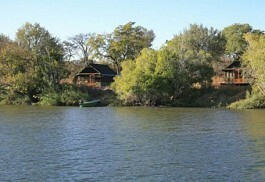 The park is seasonal, and traditionally only accessible from May to October, during the dry season. Kafue National Park, like other areas in Zambia, experience a very wet season over summer, and a lot of lodges and camps are forced to close due to inaccessibility. 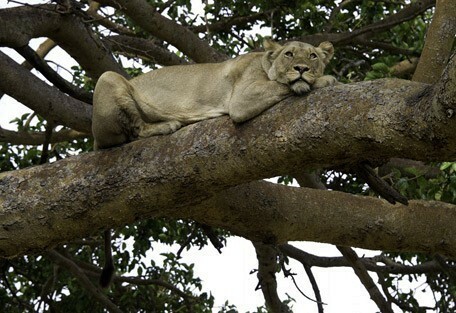 Busanga Bush Camp is private and romantic and offers a secluded location in the Kafue National Park that is known as one of the best locations for lions in Africa. 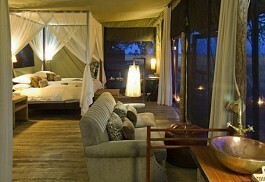 Busanga caters for only 8 guests in 4 luxurious safari tents. 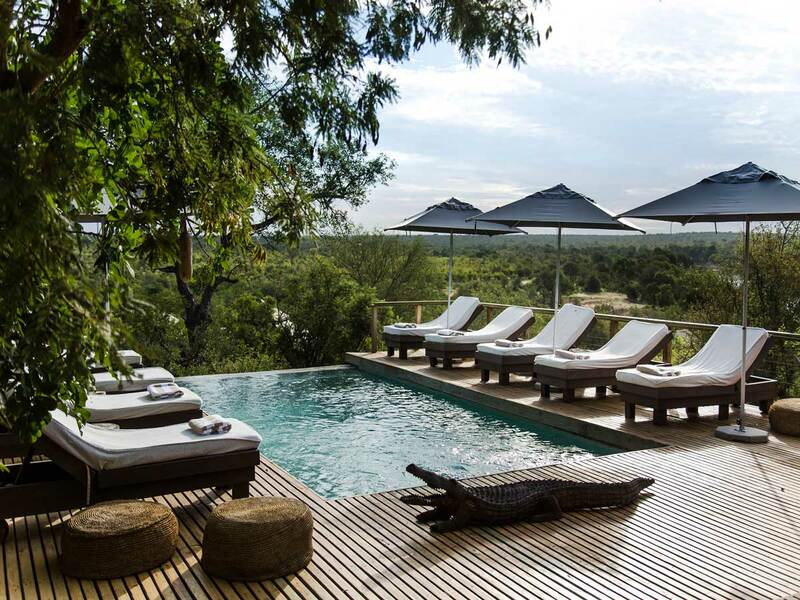 Lufupa Tented Camp is small and personal and accommodates in only 9 safari-style tents with ensuite facilities, which have private wooden decks overlooking sweeping views and magical sunsets over the river. Shumba Camp is known to offer fantastic lion viewing in the Busanga Plains area; prides of lion sometimes up to 20 strong can be seen here. 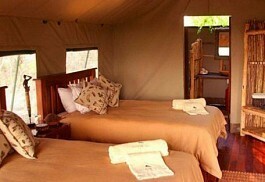 The safari tents are luxurious and spacious and situated on raised platforms overlooking the bush. 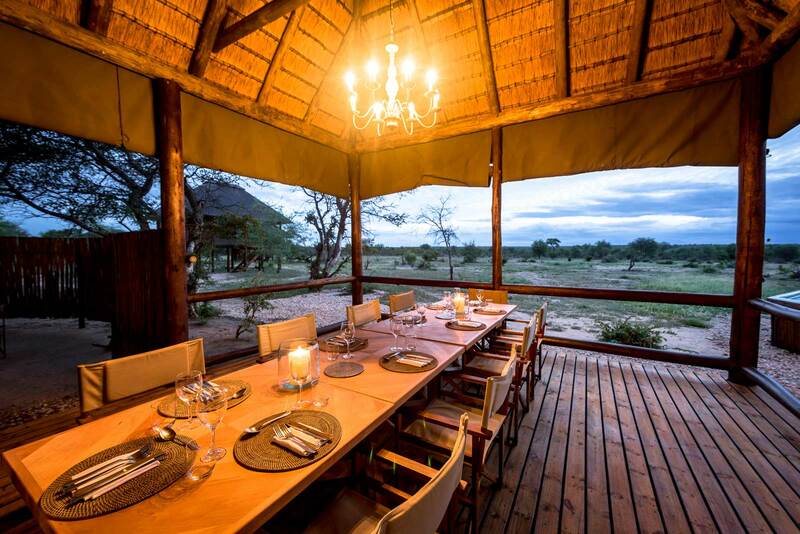 Musanza Tented Camp is specifically outfitted to ensure that traditional camping feel with a clear emphasis on necessary and stylish comfortable interiors, creating a peerless wilderness experience. 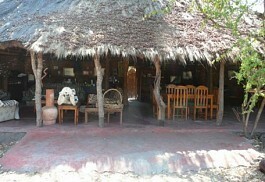 Musanza is closed during the wet season. 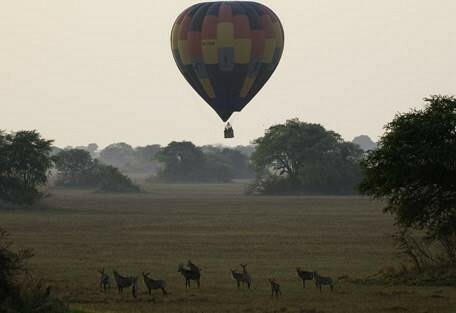 Guests visiting Kafue National Park will have their flights and road transfers booked and arranged by Sun Safaris. 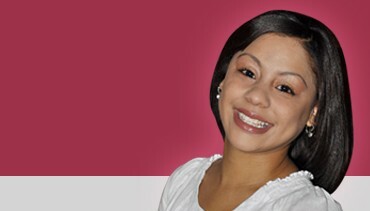 There are a number of airports that could be used, depending on which areas of Zambia guests are visiting. 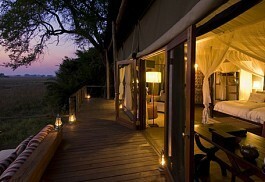 Mfuwe International Airport can be booked for guests incorporating South Luangwa National Park in their itineraries. 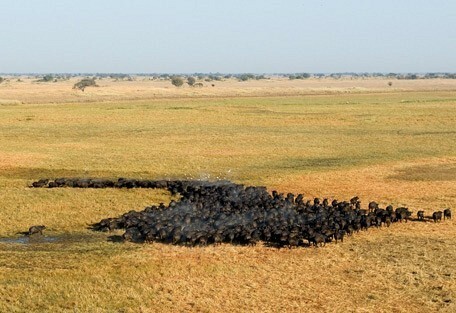 Guests travelling directly to Kafue will most likely be booked on a flight into Zambia landing at Livingstone International Airport (located near Victoria Falls) or at Lusaka. 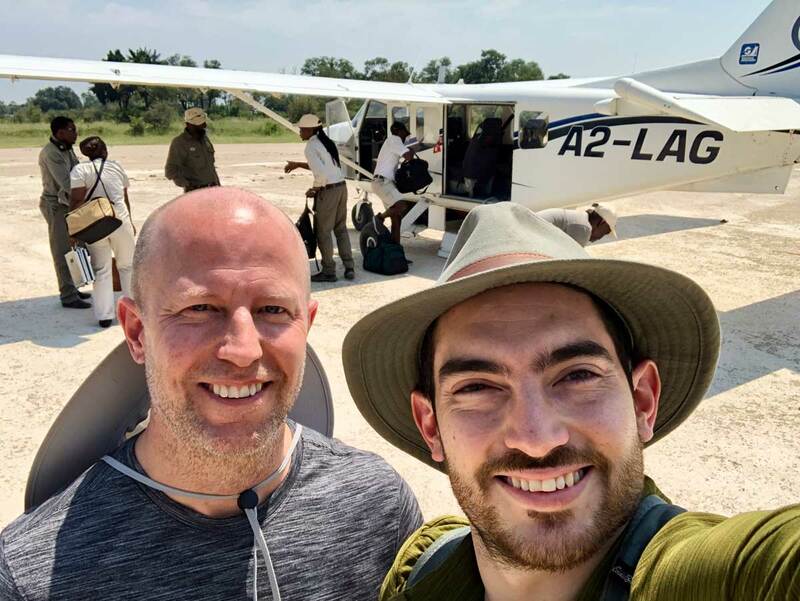 From the international airport, Sun Safaris will arrange for guests to connect with a road transfer from the airport to their lodge in Kafue. Alternatively, a light air transfer from the international airport to a local Kafue airstrip can be arranged. 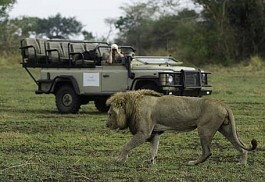 Hosts or guides from the lodge will arrive to collect their guests and drive them the last leg to the lodge.